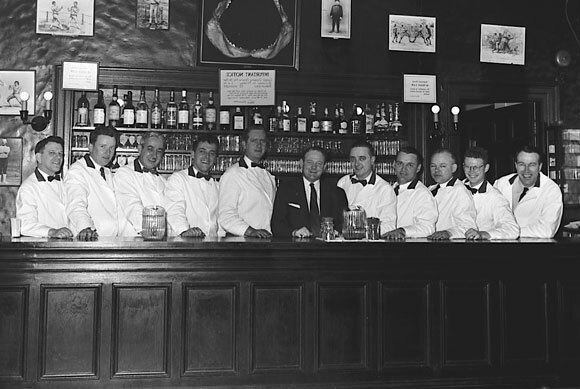 Don’t get the wrong idea from this vintage photo in the Boston Public Library’s print & photograph collection: women are well represented behind Beantown bars, and they and their male counterparts are getting organized. First, our city’s own chapter of the U.S. Bartenders Guild will soon be official. Corey Bunnewith of Citizen Pub, Kirsten Amman of LUPEC Boston, Alex Homans of Russell House Tavern and Rob Hoover of Upstairs on the Square are helming this effort, which right now involves finding at least 40 members with $100 for annual dues to sign on. Meanwhile, April Wachtel, bar manager of the solid new South End restaurant & bar The Gallows, has started a less formal, local (and, for now, free) concern called the Boston Bartenders Collaborative. I never knew the USBG existed before the craft cocktail movement got going. It was founded way back in 1948, and it’s affiliated with the 50-country International Bartenders Association, itself established in 1951. USBG sponsors seem to include every spirits conglomerate known to man — Pernod Ricard, Bacardi Ltd., William Grant, etc. — as Jonathan “Cocktail Guru” Pogash indicates in his summary of a recent field trip to Boston to help spark the USBG chapter here. Bunnewith says that although these companies obviously aim to promote their brands by sponsoring Guild events, they impose no restrictions on the use of spirits from lesser-known producers. Why should you join? One reason is career advancement. 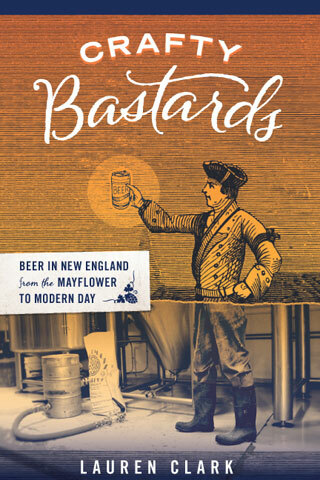 “As the Guild gains a reputation in Boston, employers will recognize that members are knowledgable and passionate about alcoholic beverages and the operations of a bar,” says Bunnewith. The USBG also has an accreditation program that is recognized worldwide, in case you decide to pack your bar tools and move to Bratislava. Other perks include product-education classes, events, the occasional field trip and invitations to participate in cocktail competitions (i.e. create cocktails for liquor companies for free as you vie to win a cool trip). In earnest, the chance to network, taste product, and go to fun events with others who take the profession seriously seem to me like excellent reasons to get involved. Sure, some people might chuckle at the notion of bartenders getting together to talk about ice and inventory, but think about it: Boston barkeeps are elevating their profession and trying to create a solid talent pool in this town. I, for one, am wicked psyched about that. For information about joining USBG-Boston, go to the group’s Facebook page or email USBGBoston@gmail.com. Most Boston Bartenders Collaborative seminars are members-only, but select seminars will be open to the general public. To receive notifications about seminars, or for more information, email April Wachtel at april@thegallowsboston.com.